Flagger Force was privileged to have the opportunity to interview David Rush, the Work Zone Safety Program Manager for the Virginia Department of Transportation (VDOT). 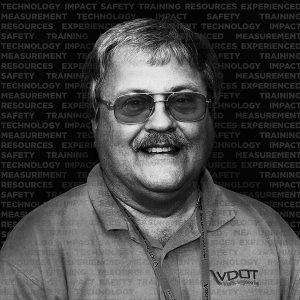 David’s 37 years of experience at VDOT has given him a unique perspective on current policy and trends related to traffic control and transportation. Flagger Force: What are your current roles & responsibilities with VDOT? 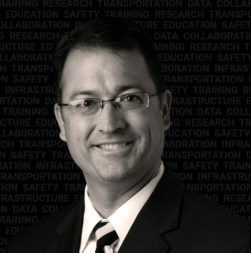 David Rush: I oversee VDOT’s Work Zone Safety Program, ensuring we meet or exceed all U.S. Federal Highway Administration requirements for worker safety and mobility for motorists. My staff and I are responsible for the Virginia Work Area Protection Manual and road and bridge specifications dealing with maintaining traffic during construction, as well as VDOT’s work zone training program. We are a resource for internal employees and external customers dealing with work zone safety issues and questions. Flagger Force: How did you get started with VDOT? David Rush: During my last year in college, a representative of VDOT came to our class and explained some of the roles and responsibilities a safety career in VDOT could provide. I began my career in 1978 at the Richmond-Petersburg Turnpike, moved to the VDOT central office in 1989, and have been here ever since. My experience is rooted in the field, which provides a critical perspective as an administrator and policy shaper for safety and work zone traffic control at VDOT. Flagger Force: What are some current key initiatives at VDOT? David Rush: Continuous training has been and remains a significant priority for VDOT. We have an expansive learning culture offering a variety of training, from driving construction equipment to the latest computer software. We make sure our employees have the skills and tools they need to get their jobs done effectively and safety. In addition to worker safety, my department has been focusing on the best ways to manage and measure the performance of work zones in terms of avoiding delays and keeping traffic moving. To reduce traffic backups and collisions, we have implemented allowable work hours when travel lanes can be closed and when they can’t. We’ve also been providing real-time travel estimates on our interstate corridors, which allow motorists the opportunity to choose an alternate route. A key part of these initiatives has been embracing the development of “smart” work zone technology. These innovations gather traffic data to measure impacts of work zone policy and standards, while providing useful information to motorists. Flagger Force: Can you expand on the implementation of this technology at VDOT? David Rush: Measurement is important. One way to measure the flow of traffic is to use motorists’ cell phones and Bluetooth telemetry to track the movement of vehicles. There are several companies developing this technology, and VDOT is working with some of them to implement our programs. For instance, we have partners that place instruments on traffic control devices, such as a sign or cone, to measure vehicle movement. A major challenge for us is that VDOT has the third largest state-maintained roadway system in the country, with Texas and North Carolina being number one and two respectively. We estimate there are over 10,000 work zones on Virginia roads each day. We can’t yet scale this technology to cover all work zones, so we are focused primarily on freeways and high-speed roadways. Flagger Force: What are some other key concerns for your department? David Rush: One of the most critical concerns is distracted motorists. Newer vehicles can actually distract drivers with their own built-in technology, not to mention texting, phone calls, or eating while driving. Distracted motorists are a major reason why we exceed the minimum temporary traffic control requirements found in the Manual on Uniform Traffic Control Devices (MUTCD) published by the Federal Highway Administration when closing travel lanes. For instance, we use larger and brighter signs—and more of them—along with larger channelizing devices (e.g., traffic cones) spaced closer together in longer tapers, and shadow vehicles fitted with truck-mounted attenuator devices, also known as a vehicle crash cushions. We require our workers to wear high-visibility garments such as Class 3 vests and Type-E pants, which are normally only required at night, during the daytime as well. Flagger Force: How can short-term traffic control standards and practices be improved? David Rush: How you apply the standards is key. Not everything can be learned from a book. Not all roads are straight, or well-lit, or flat, etc. As stated earlier, the requirements shown in the MUTCD are the basic minimums. Field conditions often dictate the need for other devices, such as an additional “Road Work Ahead” signs, traffic cones, and often increasing the number of traffic control professionals on-site. Adding a portable changeable message sign always enhances an operation, and anytime you add law enforcement to the work zone, motorist travel speeds go down, and their attention level goes up. Flagger Force: What are the hallmarks of good traffic control practices? David Rush: Investing in well-trained professionals is, of course, the very foundation for safe, effective work zone setups. Next, close attention must be paid to roadway conditions in order to properly place an adequate number of traffic control devices, making sure they are clean and visible to motorists. This is where solid field experience takes the safety standards to high levels. It’s imperative that someone, like a field supervisor, rides through the work zone as soon as it’s installed to ensure there are no surprises for motorists and that traffic is operating through the work zone as planned. Often minor adjustments are needed once a review has been performed. Flagger Force: What is the significance of National Work Zone Awareness Week (NWZAW) to VDOT? David Rush: National Work Zone Awareness Week is dedicated to discussing work zone safety with the public. The American Transportation Safety Services Association (ATSSA) organizes the annual event, but it all started in 1997 in VDOT’s Bristol District. Bristol produced an awareness campaign that grew statewide in 1998. The next year, I shared this idea with ATSSA, and they ran with it. At VDOT, we are very proud of this nationwide event and realize that as more voices join the effort, the greater impact it can have on issues like distracted driving. Flagger Force: Where did your passion for traffic safety come from? 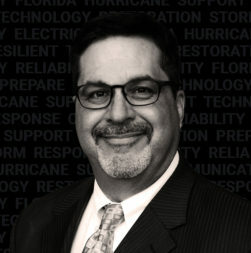 David Rush: The early part of my career spent at the Turnpike was very powerful in terms of experiencing firsthand how dangerous working on or near a roadway can be with motorists traveling at high speeds. Safety is really a lot about using good common sense and doing the right thing—not taking shortcuts to get the job done faster or cheaper. Your safety, and the safety of your coworkers, always has to be first.